24" x 31 ½" x ½"
These hand-painted, decorative mirrors are available in three sizes and complement the decoration in any room. 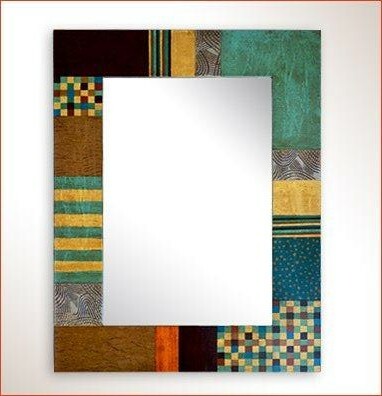 The mirror frames are made from recycled wood, and many are carved as well as painted. They are ideal in an entry hall, bedroom, living room, bathroom, study or office. The smaller sizes are ideal above a console or dresser. Frame colors and designs are among the most requested by today’s decorators and designers. Some lean toward the classic, others toward the ethnic or contemporary. Aside from being indispensable for personal use, these mirrors become a major decorative element in any room. Please ask us about pricing for special orders which are available in any shape, size and design.